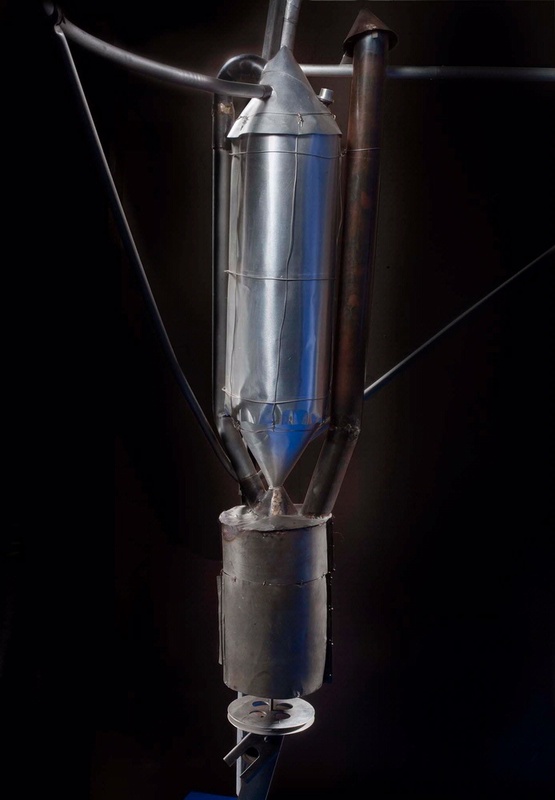 This photograph shows the head of the Goddard “Hoopskirt” rocket. 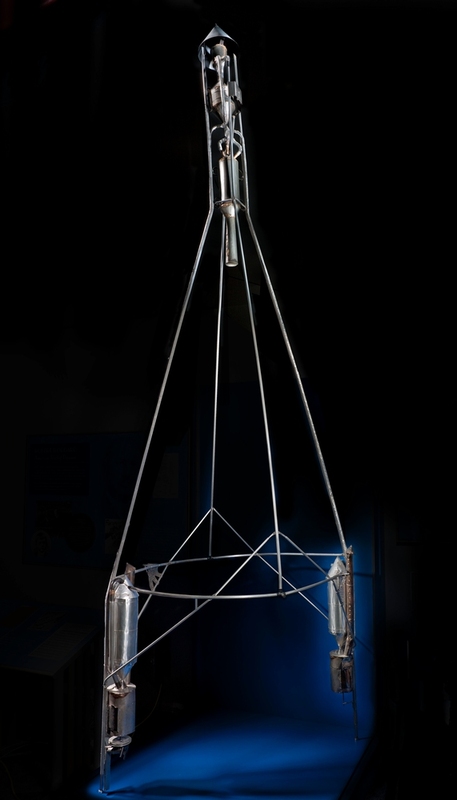 At the top is the parachute container, then the gasoline tank and below it the combustion chamber and exhaust nozzle. 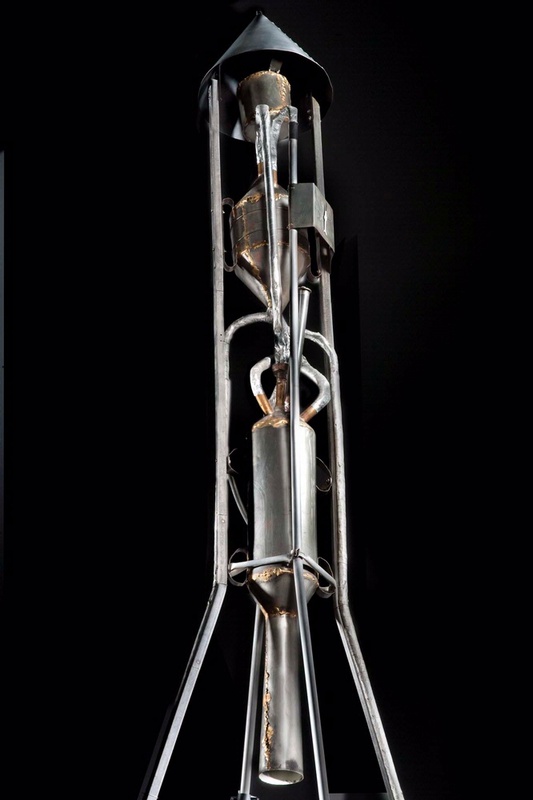 Liquid oxygen was stored in two tanks at the bottom of the rocket and burned in the combustion chamber with the gasoline. 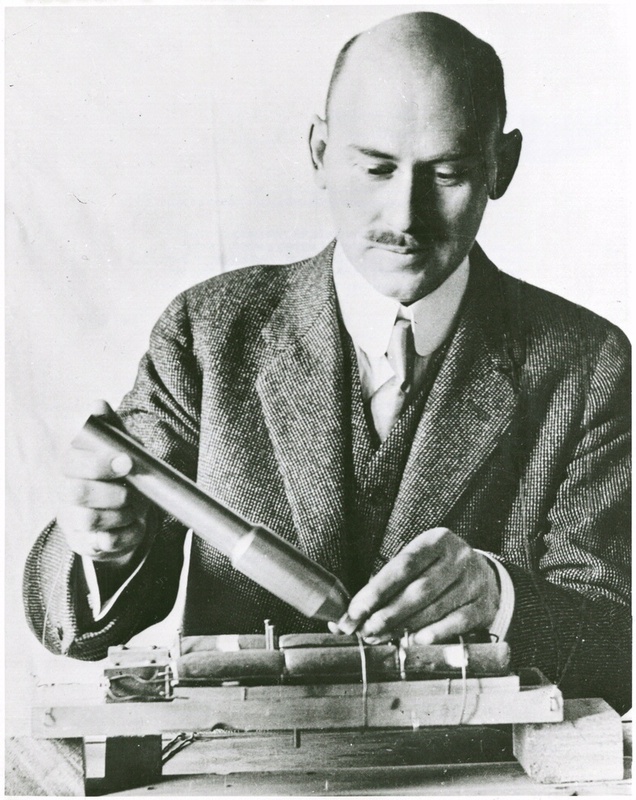 Find out more about Goddard’s “Hoopskirt” Rocket Engine Head Detail.